The 2018 Jaguar F-TYPE technology makes it easy to access endless opportunities for information, entertainment, comfort, convenience, safety, and more. Better still, many of the most impressively advanced capabilities come standard. 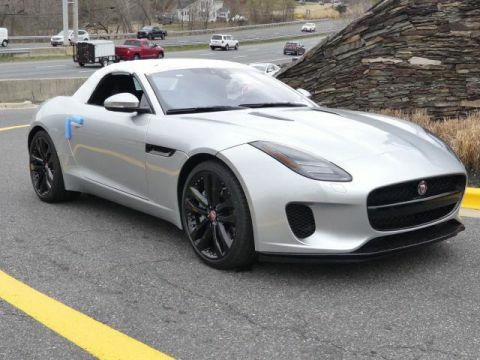 When you’re ready to explore which F-TYPE is right for you, make the short trip from Crofton to visit Jaguar Annapolis. Use a series of clear visual menus and intuitive touchscreen controls to take control of the cabin or to access a wide range of infotainment features. Crucial driving information like current speed is displayed on the windshield within the driver's line of sight. Take your hands off the wheel and let the Jaguar F-TYPE park itself no matter how tight the parking space. This works for both perpendicular and parallel parking. All your favorite music and talk sound better when coming out of a 770W premium audio system that utilizes 12 speakers to fill the cabin with rich audio. See how the 2018 Jaguar F-TYPE is one of the best sports cars on the road, including the Porsche Boxster. Then check out the 2019 model compares!